Providing you the best range of heavy duty cooled pulveriser selvin 511, heavy duty cooled pulveriser selvin 514, heavy duty cooled pulveriser selvin grees 408, heavy duty pulveriser selvin oil cooled 408, heavy duty screen pulveriser selvin 616b and impact pulverizer with effective & timely delivery. Heavy Duty Cooled Pulveriser Selvin 511 are economical, hygienic, robust and easy to use.Those who seek self employment could utilize our small 8 pulverisers.Oil Cooled self alignment roller bearings and balanced cutter helps the machine runs smoothly and continuously. The specially designed hardened cutter and teeth help long durabillty of the spares. Selvin mini & Heavy Duty Oil cooled Pulveriser. The speed rotation of the beaters creates a cool air chamber which helps to retain the coolness the original color, taste and fragrance of the material. It grinds almost all spices, masala, salt, sugar, coffee, dry fish, cattel feed and ayurveda medicines etc. We are offering Heavy Duty Cooled Pulveriser Selvin 514 to our clients. We are offering Heavy Duty Cooled Pulveriser Selvin Grees 408 to our clients. We are offering Heavy Duty Pulveriser Selvin Oil Cooled 408 to our clients. We are offering Heavy Duty Screen Pulveriser Selvin 616B to our clients. Our organization has gained recognition as the affluent manufacturer, exporter and supplier of a qualitative range of Impact Pulverizer that is used in various industries for processing and blending activities. The offered pulverizer is manufactured using premium quality components and advanced technology in line with industry norms. We assure our clients that this pulverizer is tested on varied parameters, so as to cater market standards. 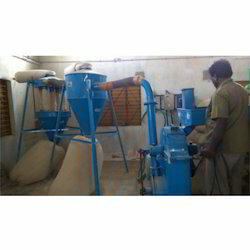 These Machines are recommended for grinding fineness above 80 mesh.It grinds dense material like clay, wooden pieces, coconut shell, roots, turmeric etc. Instead of sieves whizzer classifiers are used. Selvin Heavy Duty Pulveriser, Hygenic, Robust and easy to use. The special beaters eliminates stone and?plates and minimize iron contamination. Improves the quality of spices, masalas and ayurvedic medicines. Usage: The high speed rotation of the beaters creates a cool air chamber which helps to retain the coolness, the original colour, taste, fragnance of the material ground which is impossible on any other machine. Even wet raw rice could be powered to any required mesh and is eminantly suited for murukku, idiyappam and puttu etc. Economy: The beaters are made of special Steel and eliminates frequent replacement of steel plates and reversible. Thus the pulverizer will last a life time with minimum down time. Employment Potential: House wives and people poeple those who seek self employment could utilise our?8" dia models, Deluxe models, open type and oil cooled pulverizer. Accessories: Six number of different seives are generally provided with machines. Special purpose seives could be supplied as per the customers requirements. Guarantee: All machines carry our standard full one?year guarantee from the date of despatch. It dose not cover the Motor, V. Belts and pulley for the motor. In addition to the above it grinds almost all spices, masalas, salt, sugar, coffee, fresh fruits, vegetables,supari, herbs, roots, leaves, bark of trees, oil cake, dry fish, cattle and poultry feeds, soap chips, charcoal, bones, coconut shell and chemicals, dyes, pigments and etc. Manufactured as per international quality standards and norms using quality steel and iron, these are known for their superior finish, easy installation and long service life. 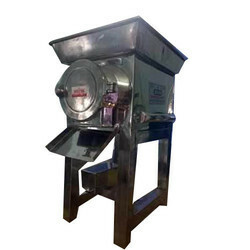 During the making of masals, detergents, Ayurvedic products, flour mills and cattle and animal feeds, ourHeavy Duty Screen Pulverizer Selvin 514B is commonly used. Water cooled crushing chamber helps to retain the original taste,color, fragrance of the material. Extremely robust but simplified assembly system for easy cleaning and maintenance. Totally hygienic, dust proof and environment friendly. High output with lower power consumption due to improved hammer design. Specially hardened swing hammers and serrated wear plates. With the support of our professionals, we have achieved a reliable name as a leading manufacturer and exporter of Rice Pulverizer. This machine is manufactured under the firm guidance of expert supervisors using best quality cast iron and mild steel. 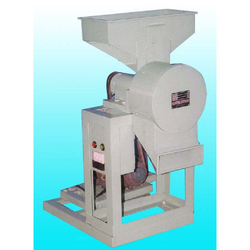 We are offering Hammer Mill Pulverizer to our clients. We are the Leaning Manufacturer of Lab Purpose Mini Pulverizer to our clients. 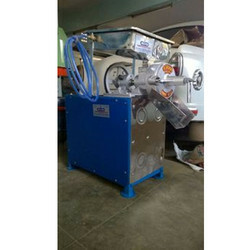 We are offering Pharmaceutical Pulverizer to our clients. 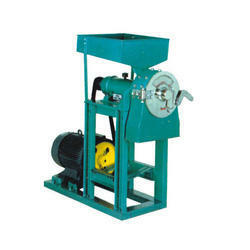 We are the manufacturer of Pulverizer Herbal Grinder machine. We are offering Snacks Machine to our clients. 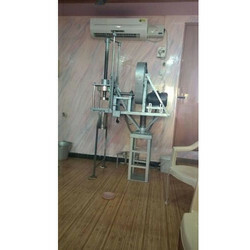 We are offering Heavy Duty Masala Grinding Machine to our clients. We have been recognized amongst the leading organization engaged in manufacturing and exporting Pulverizer Machine. 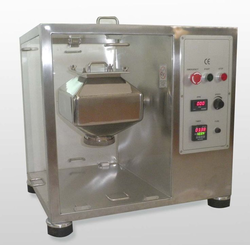 This machine is highly utilized in pharmaceutical and food industry. To manufacture this machine, we use premium grade cast iron and mild steel. Clients can obtain this machine in different technical specifications as per their requirements. 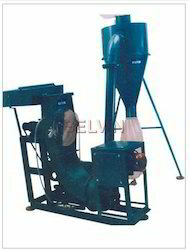 This pulverize Machine is available at market leading prices for clients. Our company has succeeded to achieve respectable position in the market as a trusted manufacturer and exporter of SS Pulverizer. This machine is manufactured at our sophisticated production unit using best quality stainless steel. 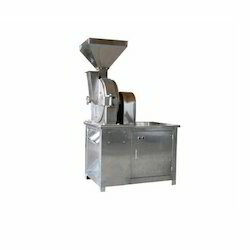 In food and pharmaceutical industry, this machine is used for crushing and grinding ingredients. We make this SS Pulverizer available for clients in different technical specifications as per their requirements. Moreover, we offer this machine at reasonable prices. To establish a prominent presence in the market we are engaged in manufacturing and exporting a quality range of Spices Pulverizer. This machine is manufactured by our diligent workforce using high grade stainless steel and cast iron. 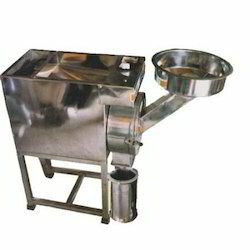 This machine is suitable for crushing and mixing spices. 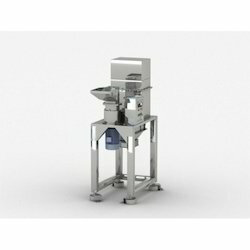 To provide a flawless range to clients, we check this Spices Pulverizer on defined quality parameters. We offer this machine at reasonable prices. 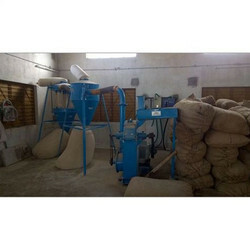 We are offering Rice Grinding Pulverizer Machine to our clients. 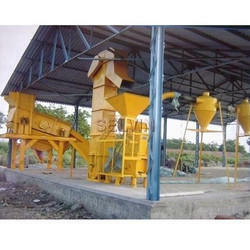 We are offering Grinding Pulverizer to our clients. 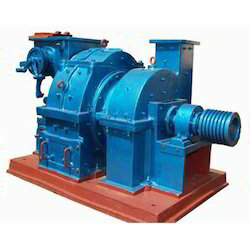 We are the leaing manufacturer of Heavy Duty Oil Cooled Pulverizer. We are holding rich experience in the domain of manufacturing and exporting an exclusive range of Heavy Duty Pulverizer. This machine is widely used for grinding and crushing ingredients in food and pharmaceutical industry. To comply with changing technology, we use optimum quality cast iron and mild steel to manufacture this machine. 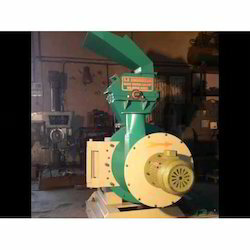 Clients can obtain this Heavy Duty Pulverizer in different specifications from us. Also, we offer this machine at pocket friendly prices. Leveraging upon our technical know-how we are engaged in manufacturing and exporting an exclusive range of Stainless Steel Pulverizers. 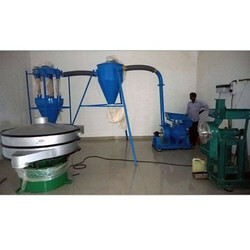 These machines are used in pharmaceutical and food industry. Our expert manpower manufacturers these machines in compliance with set industrial norms using best quality stainless steel. 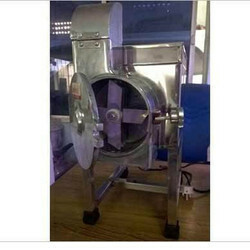 Highly demanded among clients, these Stainless Steel Pulverizers are available in different specifications for clients. We offer these machines at pocket friendly prices. Designed and manufactured to perfection, our company is considered as one of the renowned and preeminent manufacturers & exporters of Sugar Pulverizer Machine. Our range is highly demanded for its durability, efficient functioning and robust construction. Sugar Pulverizer Machine finds application in sugar industries for icing or sprinkling over a number of sugary eatables and sweets. These are manufactured by our skilled workforce using quality stainless steel. 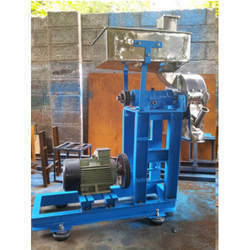 Furthermore, we are offering these pulverizers to our clients at reasonable prices. We are one of the known names of the industry engaged in offering genuine quality Sugar Pulverizer Machine. Moreover, we check the entire range on certain well-defined parameters to gauge their flawless nature. Our range is widely known for its durable standards, efficient functioning and rugged construction. We are offering Spice Grinding Machine to our client. We are offering Ginger Cutting Machine to our clients. We are offering Impact Pulverizers to our clients. We are offering Micro Pulverizer to our clients. We are offering Micro Pulverizers to our clients. We are offering Heavy Duty Wet Grinding Machine to our clients. 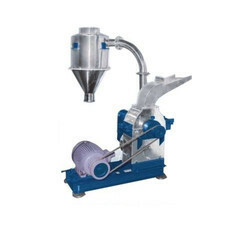 We are offering Mini Masala Grinding Machine to our clients. 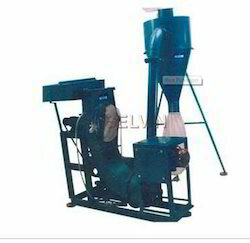 We are offering Herbal Grinding Pulverizer to our clients. 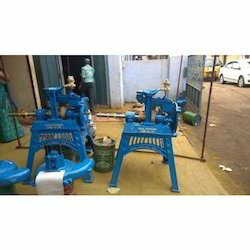 We are offering Mini Pulverizer to our clients.